London, Ontario is the largest urban centre in Southwestern Ontario. Situated about halfway between Toronto and Detroit, Michigan, it’s home to about 366,000 people in the city and almost half a million in its metropolitan area. 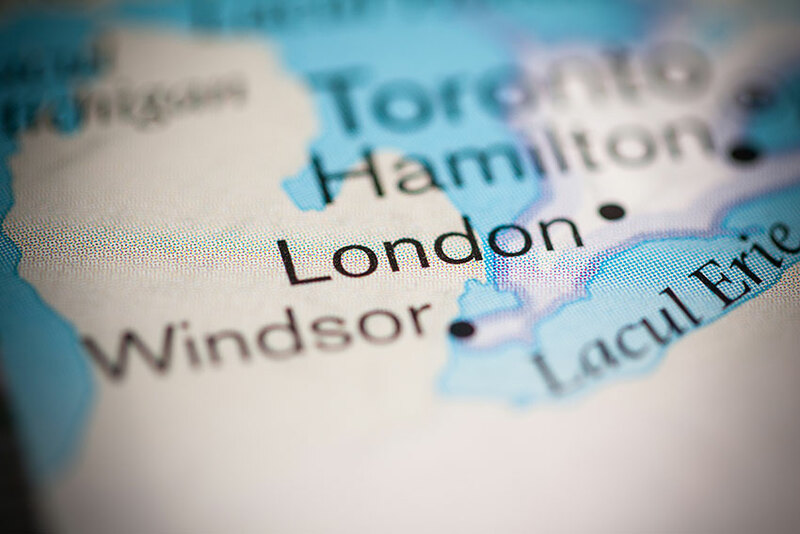 Highway 401 is some distance away from the city centre, and without a solid plan to connect central parts of the city to the major highway, many feel London’s potential as a growth area through the late stages of the 20th century was missed. The size of the city, combined with weak public transit and no major expressway, such as the Kitchener-Waterloo area has, means that cars are virtually essential to life in London. A 36-year-old male driver with a clean driving history pays about $1,250 a year in car insurance when driving a 4-year-old sedan. The table below shows London car insurance cost for a sample driver. We surveyed the car insurance prices in London for the purpose of illustrating the range in quotes based on driving record, location, and other criteria. To get a customized quote, enter your postal code above. London is well served by the insurance industry. Home to several insurance companies, there are many agents and brokers located in the city. The best rates on auto insurance usually come through comparison shopping and most, if not all, major insurers have representation in London. Ratelab remains your best bet for easy shopping. Using the car insurance calculator, you can shop your auto insurance needs with dozens of partners to find the lowest rates for the most appropriate policy. Since the calculator returns up to 10 quotes, insurance company choice is easy. Ontario’s car insurance system has great flexibility for the motorist seeking customized coverage. Most insurers have a wide range of products to add to the basic provincial policy. A motorist can extend basic coverage or add options that apply to them. Consumers with budgets in mind can change deductible amounts or drop optional coverage to produce a premium that fits their needs. Another way to drop prices uses discounts. Most insurers give percentage incentives when a motorist meets conditions. These might be periods of safe driving, age thresholds or combining home and auto policies with one company. Insurance companies don’t usually add discounts automatically, though. A driver must request the addition of these to add to their policy. 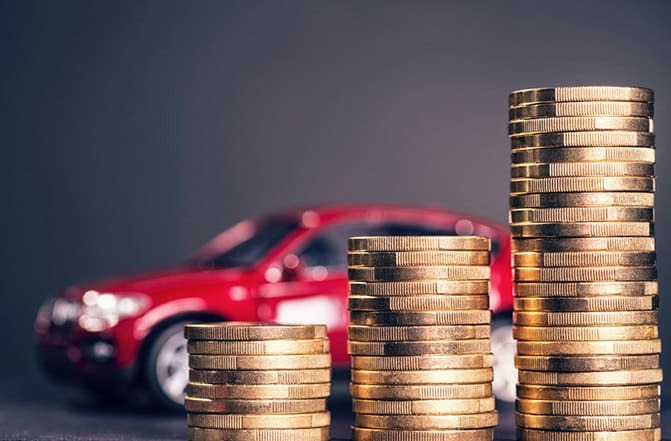 While Ontario has a minimum level of insurance required, drivers who finance vehicle purchases may need additional coverage as a condition of financing. London drivers should contact their lenders if in doubt. Without controlled access expressways through the city, London has more traffic congestion than cities of similar size. Oxford Street and Commissioner’s Road are the only uninterrupted east-west routes through the city. There’s no contiguous north-south route. Wellington Road and Richmond Street share duties as the central “spine” of the city. London has four exits on Highway 401. From west to east these are Wonderland Road, Wellington Road, Highbury Avenue and Veteran’s Memorial Parkway. Highbury Ave. and Veteran’s Memorial have four-lane sections, but neither is a fully functioning controlled access road, and neither brings expressway-style conditions into heavily populated areas. Highway 402 separates from the 401 west of Wellington Road. Heading to the U.S. border in Sarnia, the 402 offers a further London exit at Wonderland Road that is closer to the city centre than the 401 exit. Road grade train crossings throughout the city, mostly on the east side of Richmond St., can add to the already overloaded city streets when trains come through the city. Wharncliffe Road is a partial north-south corridor just west of downtown. Wonderland Road traverses the entire city from north to south, but substantially west of downtown. It is subject to heavy rush hour volumes. Hamilton Road/Horton Street/Springbank Drive approximate an east-west corridor running south of the downtown area. Dundas Street, provincial highway 2, enters London from the east, ending at the Thames River downtown. Dundas and Richmond is the hub for city buses. Road conditions for London and Southwestern Ontario can be found on the Ministry of Transportation’s website. You can find links to road closures and weather-related road conditions on this page as well. Local radio station AM980 hosts a London traffic web page with links to its traffic tweets, MTO traffic cams, weather information and more. Road construction information, including current and future plans, is available through the City of London’s website. Highway401Traffic.com offers quick access to Google Maps with traffic conditions overlaid. Unless there is construction, an accident or weather disruptions, Highway 401 rarely sees delays due to volume in the London area. Short-term local weather forecasts for London are located here. The busiest section of road in London is Wellington Road between Southdale and Commissioner’s, supporting over 45,000 vehicles daily. The intersection at Wellington and Commissioner’s usually leads the city annually in number of accidents. A total of 10 lanes, not including turn lanes, run through this intersection. Conveniently, one of London’s two hospitals with emergency room services is at the corner of Wellington and Commissioner’s. Streets laid out in the 1800s didn’t line up very well. The rail lines through the middle of the city create an east-west boundary across which the road offsets are most obvious. The city put much effort into realigning these streets in the 1970s. The city’s transit system uses only buses across 38 routes, and is ineffective for a city of London’s size. The majority of the bus routes funnel into the Dundas and Richmond intersection. Rather than having an effective hub-type bus station, the street corner itself is the junction, severely restricting traffic through the downtown core. While re-location of the local junior hockey arena and rebuilding of the Covent Garden Market have brought some revitalization to the downtown area, lack of effective transit and parking limit the draw of the city centre to the population residing in outlying neighbourhoods. Adding bicycle paths, while welcome, hasn’t been sufficiently supported to effectively reduce vehicle traffic into the city core. London’s airport reached international status and the number of flights in and out of the city continues. Previously, major airline access for residents flew out of Pearson in Toronto and Munro in Hamilton. London residents seeking the best car insurance rates can use Ratelab’s car insurance calculator to access quotes from dozens of insurance industry partners. Enter your postal code below to start the process. Quotes are free and there’s no obligation.